We recycle prosthetic legs that would otherwise end up in landfill and facilitate support groups so amputees in Africa can live more independent, fulfilled lives. Euan is a Legs4Africa hero. He was one of our first ever leg donors and has since donated a number of his legs to Wudeh in The Gambia. 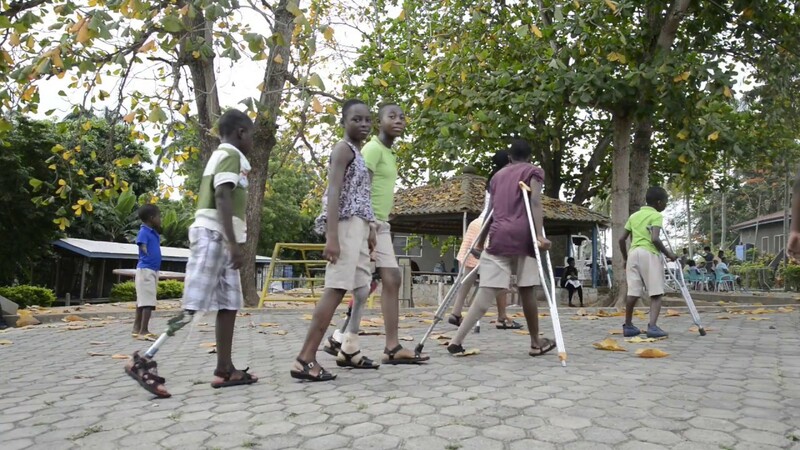 Legs4Africa is committed to improving the mobility and independence of amputees in sub-Saharan Africa through provision of rehabilitation services and access to prosthetic legs. In the UK prosthetics cannot be re-used or recycled. So, every year thousands of these expensive, life-changing pieces of equipment end up in landfill. By encouraging individuals, hospitals and other establishments to donate prosthetics to us rather than throw them in a pit we can give them another lease of life in Africa and give an amputee the ultimate leg-up. Since we started in 2013 we have shipped enough components to build or repair over 4,000 legs for amputees living in Africa. Our flagship project is in The Gambia but we are now regularly shipping legs to several other mobility centres across 10 countries in Africa. By 2020 we aim to be working with more NHS hospitals, more Men’s Sheds groups and we aim to have set up another amputee support group in Ghana that mirrors the success of our programme in The Gambia. Heading to Africa or know someone who is?